Here is a sharp Sicilian won by Gara,T in the Frau Bundesliga Div1 2012–13. 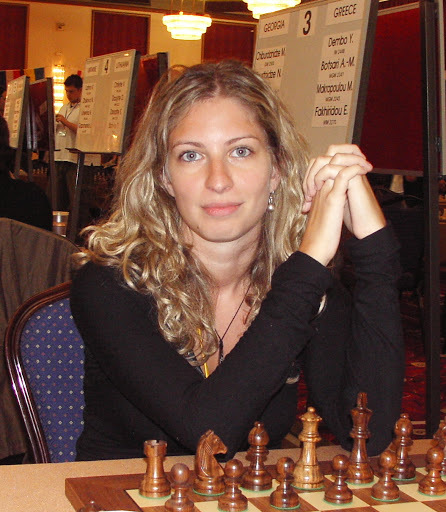 Ticia Gara (born October 25, 1984 in Budapest, Hungary) is a Hungarian chess woman grandmaster. 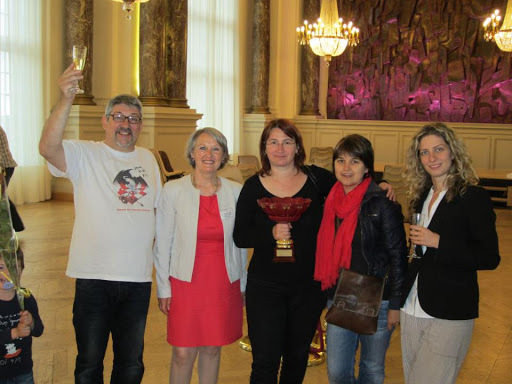 In 2009 and 2011 she won the Hungarian Womens Chess Championship. Black is pressing the kingside with the g-file and with Bb7 but for now the threats to g2 have been stopped by 21.Nd4. How should black continue? In a tense but balanced game black achieved a nice position. Later, black tried too hard to force the issue and opened up the kingside. Now white is in control. Black’s kingside is loose. How should white proceed? Black’s king is shelterig behind the kingside pawns. How does white make progress? Here is a game of WGM Gara,T(HUN) in UNAM Open recently completed held in Mexico. Black played the slightly unusual …Nge7 and broke quickly in the center with …d5 to clear out the center. White has a slight lead in development. But what is next? This is a test of understanding and choosing the right plan. The ending is in full swing and it is black who is pressing with a slight advantage. The e5 pawn is under attack so how should black react? 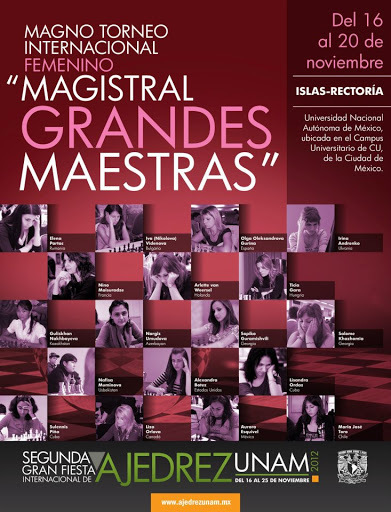 Alexandra Botez(CAN) and Ticia Gara(HUN) to play Magistral Grandes Maestras tournament in Mexico. y Ticia Gara, de Hungría. y María José Toro, de Chile.